Neopos represents the next evolutionary step in air suspension, a cutting-edge innovation that will change your riding experience. 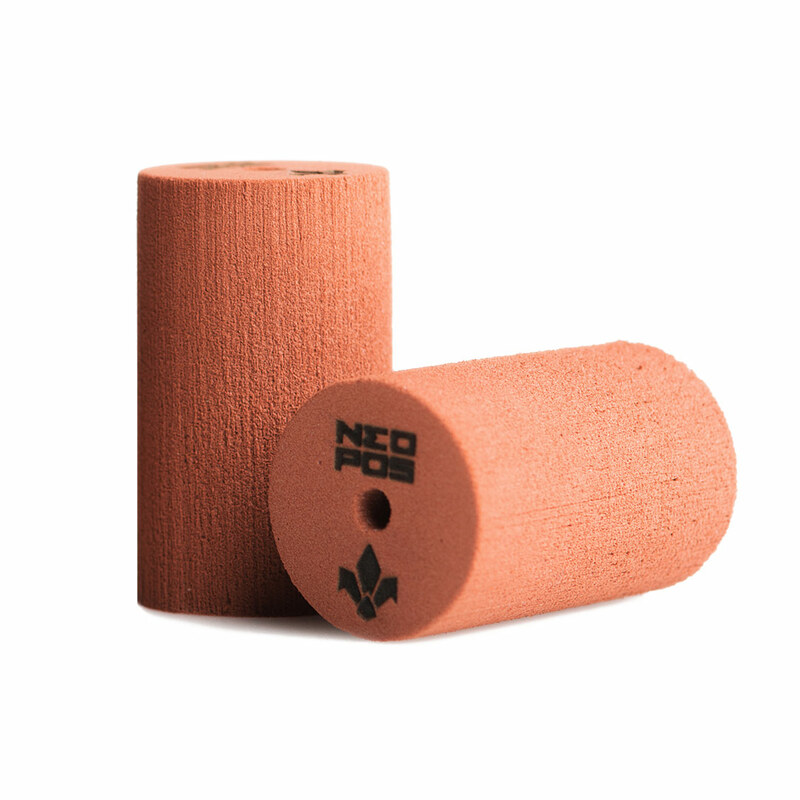 Neopos stands for “new positive”, a technology that improves the behavior of the fork’s positive air chamber, which will allow your air fork to reach a level of comfort, response and predictability unimaginable before this time. A more linear curve, using all the available travel. 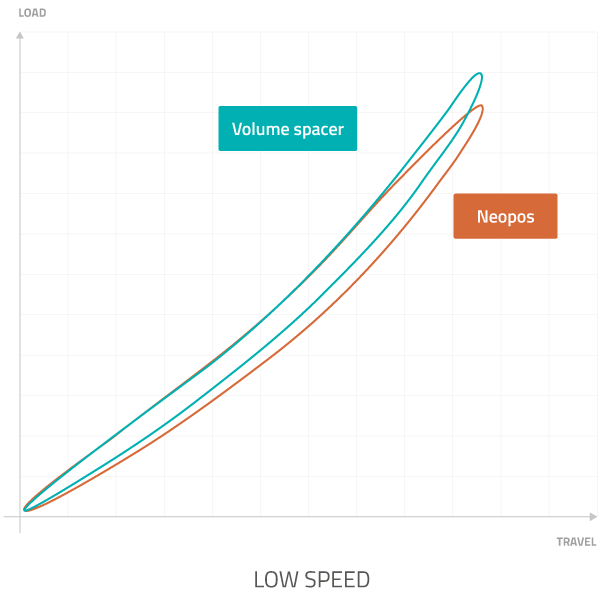 Neopos is not simply a volume spacer, rather, the Neopos completely changes the concept of a volume spacer. Thanks to the fact that it can be compressed, the Neopos makes it possible to make the air fork’s progression curve more linear, thus avoiding the excessive progressivity given by the traditional volume spacers without giving up the much-needed support in the middle of the travel. 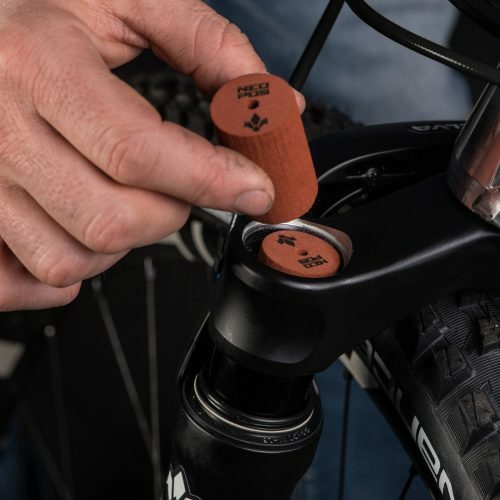 With the Neopos you get all the support of a traditional volume spacer halfway through the travel, but without the abrupt ramp in the final part of the compression curve. The progression curve will always remain gradual, allowing you to use all the available travel of your fork. A gradual and optimal increase of the air pressure level. 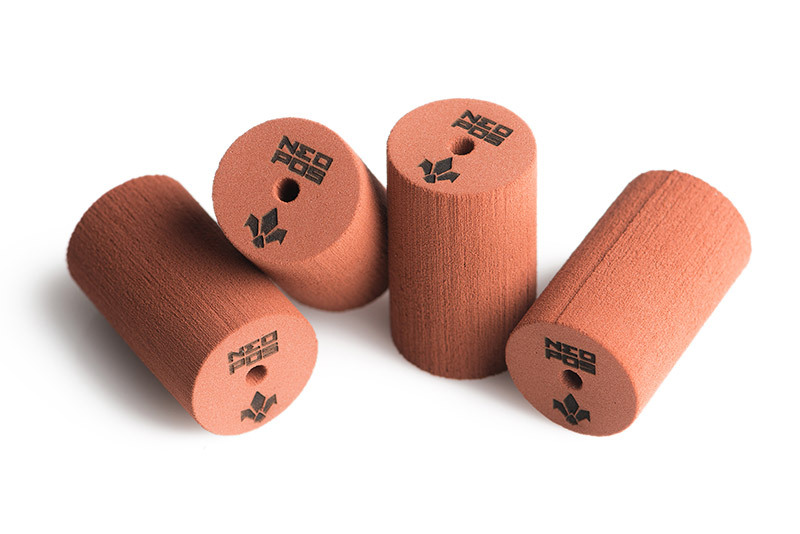 Thanks to its physical and mechanical characteristics, the Neopos allows for results that until today were unthinkable for air suspensions. While the fork is working, the Neopos inside the positive chamber will compress, thus allowing a gradual and optimal increase of the air pressure level. A result that can not be achieved with a traditional air suspension or with an air suspension that uses rigid volume spacers. Neopos’ expansion time is always constant over time. The physical characteristic of the Neopos is that of a slow expansion time which is always constant, i.e. it is independent of the compression speed. 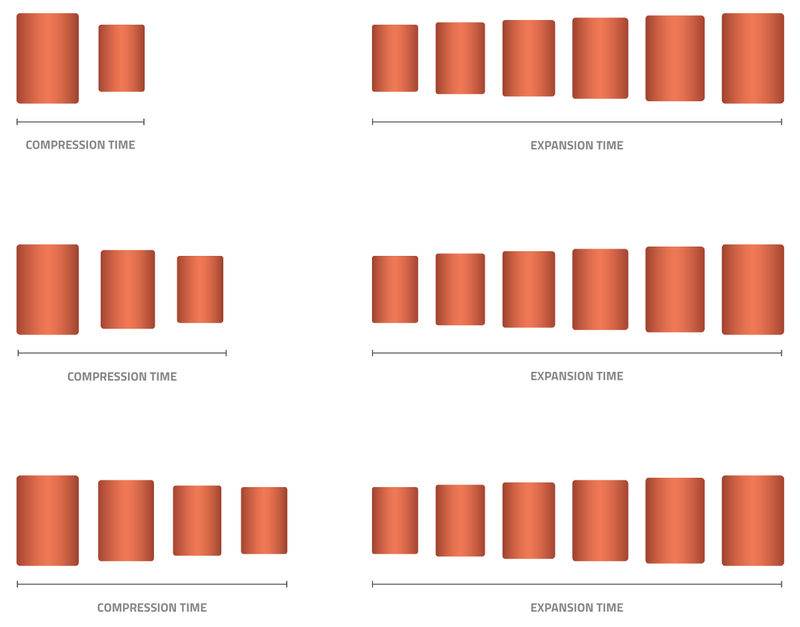 No matter how fast the Neopos compress, the expansion time will always be constant over time. 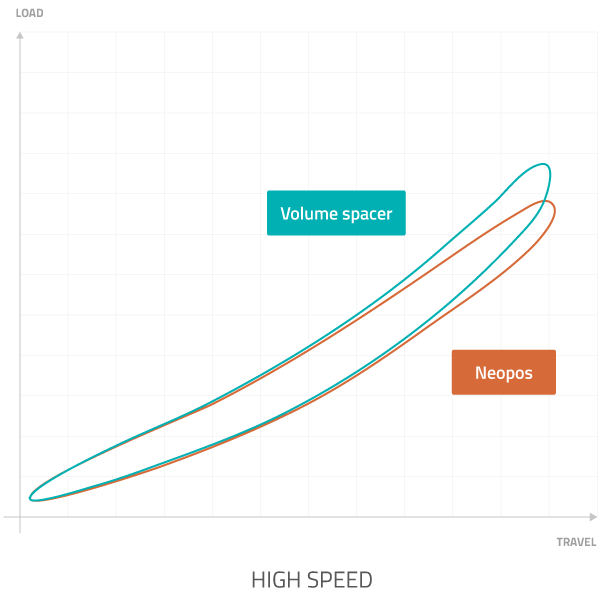 If the suspension is subjected to a high compression speed, the Neopos will compress quickly but will still expand slower than the compression speed. 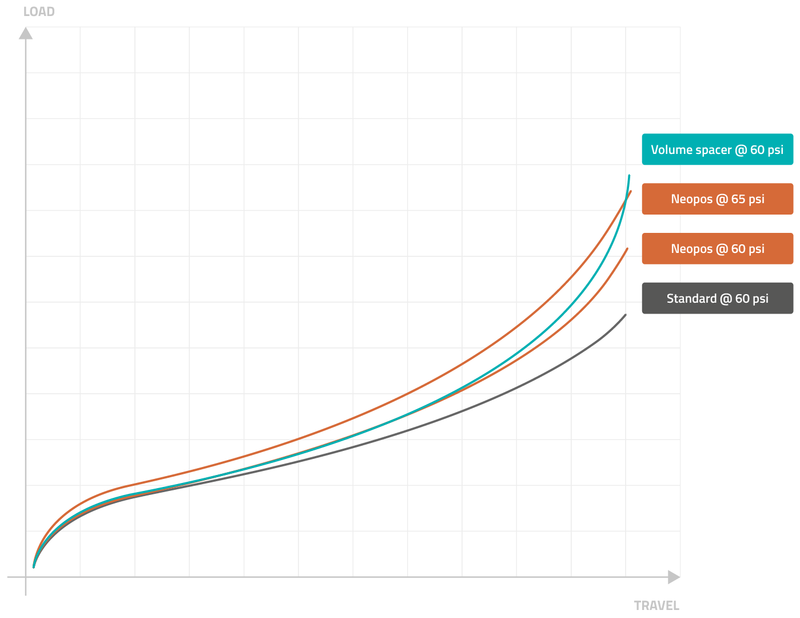 For this reason, the real advantages of the Neopos technology can be appreciated on graphs showing the entire compression/extension work cycle of a suspension. With Neopos, the response of an air suspension tend to be more constant. In an air suspension, with or without a volume spacer, the force returned to the rider, both in compression and in extension, is not constant because it depends on the frequencies to which normally a suspension is subjected. Thanks to the operation of the Neopos, the response of the suspension it will tend to be more constant. The consequence is that the Neopos tends to make the compression/extension cycle more independent of the frequencies of the suspension while working which, in a riding situation, vary continuously. The result will be a more constant, predictable and comfortable air suspension. Meaning, more like that of a coil spring suspension comfort. Neopos is designed to be compatible exclusively with Formula forks. The installation is very simple: take a look at the following video. Neopos is a technology that will forever change the way you look at an air suspension. The feeling and comfort of a coil spring suspension but with the possibility of customization along with the lightness of an air suspension.